Westinghouse Generator 7500 Review - Is It Worth Buying? When it comes to your portable generator, sometimes you just need a little more power than the average, small product. You want something reliable that’s going to help you out during a power outage or a family trip on the trailer, not something that’s going to give you a headache. The Westinghouse Generator 7500 is designed to help you out, whether you’re in a jam or you’re just trying to make plans work out the way you envisioned them. You shouldn’t just take our word for it, though. When you buy any new product, it’s important that you understand what you’re looking for. Check out our short buyer’s guide to get a better sense of what type of generator you need. Then, you can decide if the Westinghouse Generator 7500 is the right choice for you. An easy-to-use, powerful portable generator, the Westinghouse Gen7500 is a great machine. Small enough to be portable yet large enough to boast 7,500 rated watts and 9,500 peak watts, this machine comes on wheels to suit your convenience needs. Rather than fussing with a ripcord, you get the luxury of a one-touch button electric start. Additionally, this generator comes with a remote key start for quick and easy start-up. The control panel is intuitive and easy to easy. It includes water-resistant outlets, including four standard household outlets. This Westinghouse model is transfer ready, meaning you can hook it up directly to your home using a transfer switch. This lets you use the generator to power your home appliances whenever you need to, like during a nasty storm. The 6.6-gallon fuel tank gives you the capacity to run your generator for 16 hours before you need a refill. Its versatility will let you use it for projects, job sites, home appliances, trailers, and more. What Can This Generator Be Used For? Portable generators have many uses. These gadgets come in all shapes and sizes and are very versatile. You may be wondering if you really need to buy a generator, or if you’ll be okay without one. If your reason falls under one of the following, you should consider the investment. Most people keep generators in their house in case of emergency situations. In any instance where you might lose power for an extended period of time, a generator can be extremely useful. Depending on the wattage and tank size of your generator, you can use it to power things like your refrigerator, so you don’t lose hundreds of dollars’ worth of food during a long outage. You can also use it for comfort items like lighting and televisions. Many generators have USB ports, which allow you to charge phones and other devices. There are even generators available that are large enough to act as a backup to your entire home, but I definitely wouldn’t call them portable. Generators play a major role in a lot of construction projects. Your job site—whether it be a professional, public project or a do-it-yourself, at-home project, may not have access to the right amount of electricity. Sometimes it can be hard to just find an outlet, let alone more than one. Using a generator gives you the power you need to run power tools and hook up floodlights. Portable generators go where you go, meaning you get electricity where ever you’re working. If you’re into the outdoors part of camping but not so much being cut off from the world and technology, a generator will be of great use to you. Roughing it is great and all, but a generator allows you to have some of the comforts you might want. Use a portable generator to plug in radios and lights, charge devices, and power small space heaters. Some portable generators are even strong enough to power your RV or camper, depending on its size. What’s a party without a little music and some great lighting when the sun goes down? Portable generators are a great solution for those graduation parties or barbeques you’ve always wanted to host in your backyard. They also work great for park events like concerts and picnics. A few generators would be enough to power speakers and systems without risking a power overload or surge. Even a romantic date under the stars could use the help of this power source for romantic music and a little mood lighting. 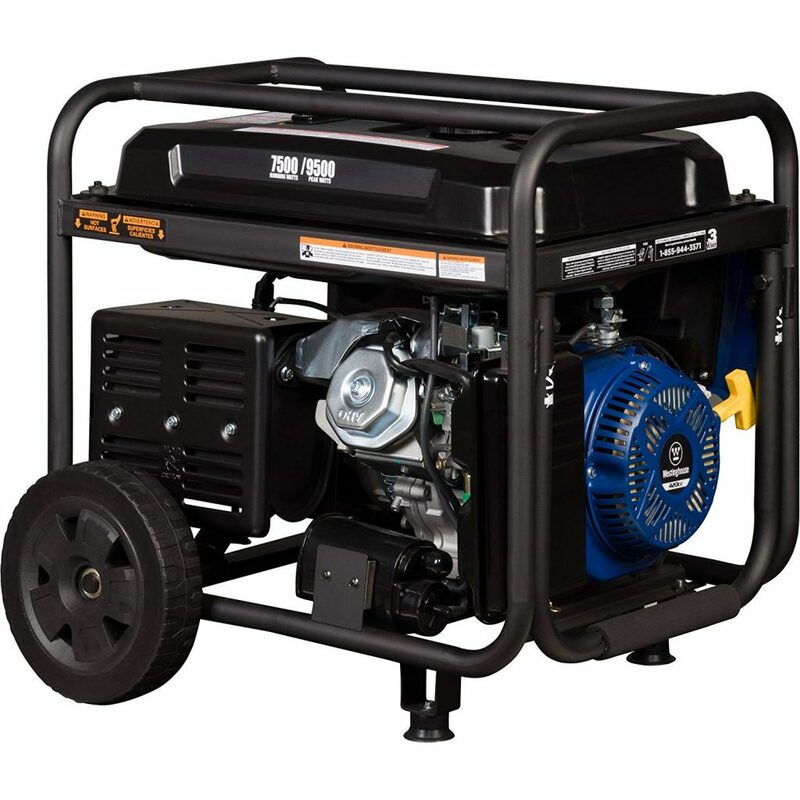 If you’ve read the above reasons and decided that you do, in fact, need or want a generator, then your next step is to learn a little more about portable generators and important features to keep an eye out for. Generators come in all shapes and sizes. They are designed for different things. For example, a small, 1600-watt portable generator would be useful during an unplanned outage during a storm so you and your family can charge important devices and maybe watch TV. However, a 20,000 stationary generator serves most often as a backup source of power and could probably power your entire home. When you’re buying a generator, be sure to do your research and identify exactly what it is you plan on powering. If you’re planning on powering your trailer on vacation, you’re going to want something larger and stronger than a 1600-watt machine. Your tank size will determine how long you can run your generator before you need to refuel. A specific generator’s efficiency will play a certain role in this too, of course, but generally, you can get a good idea by the tank size. A smaller tank is convenient for portability reasons but won’t run as long as a larger tank. Larger tanks are great if you don’t plan on moving around a lot because they run longer; however, they will be heavier. There are four different ways to fuel a generator. They are gas, diesel, propane, and batteries. Every user has a preference. Gas is cheaper than diesel and is more readily available and easy to find and buy. 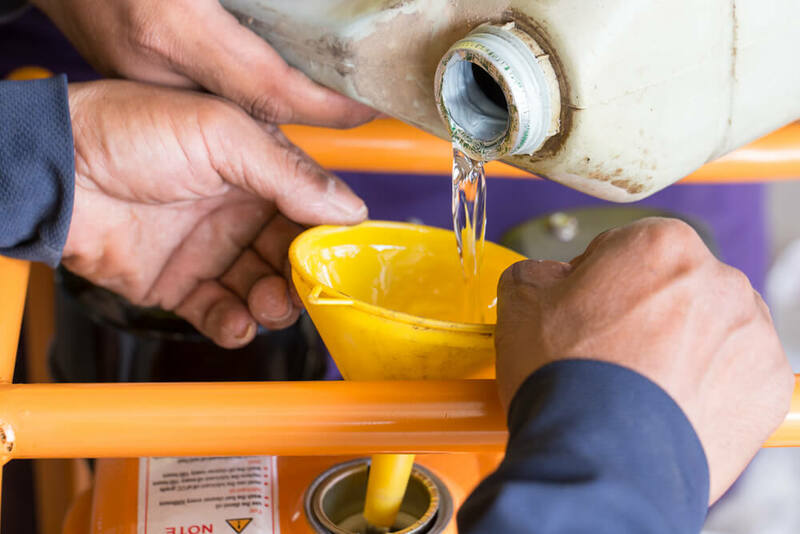 Diesel may be more expensive and slightly more elusive, but it’s more efficient and will give your machine a better run time. Some generators run off of propane, which is perfect for those who are concerned about environmental issues. It’s not as commonly used because these kinds of generators tend to be a little more complicated. You may choose to avoid fuel altogether by using a battery-powered generator. Battery-powered generators have the unique benefit of being rechargeable, which can serve to be most cost-effective than a generator with a fuel tank. Battery-powered generators tend to be more expensive, though, and they can have a slow recharge and lower wattage. In case you’re unfamiliar with generators, you should know that there are typically two ways to start up a generator. There’s the classic: a ripcord pull that works like a lawnmower. This is fine, but some people find it difficult and obnoxious to operate. There’s also the electric start, which lets you start your generator with the push of a button. This method is much easier by far, but you may pay a little more for it. In new models, you’ll see some that include a remote start key fob like the ones they make for cars. That’s about as high-tech and convenient as it gets.